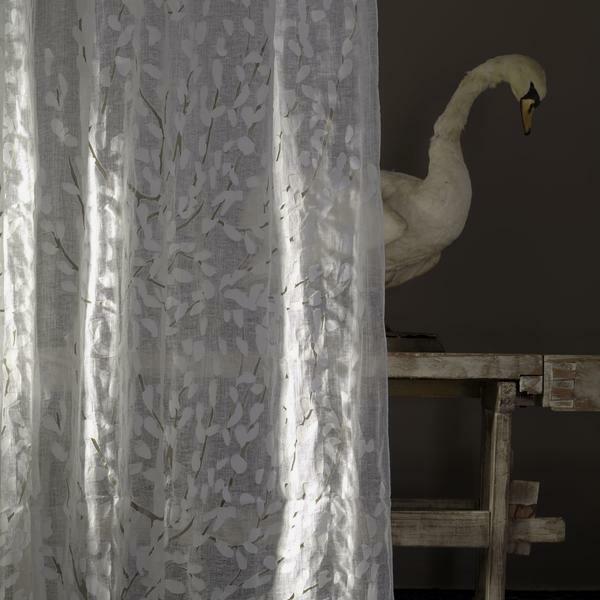 A beautifully delicate handmade sheer displaying an elegant Japanese blossom tree motif. 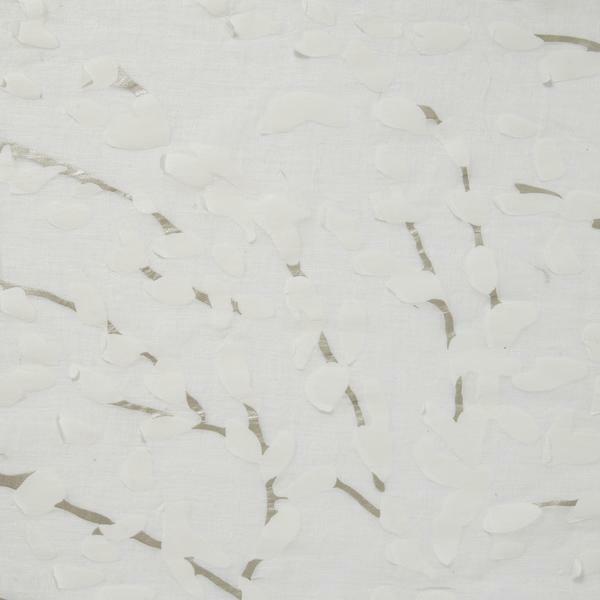 Confetti exhibits the quietness of Japanese landscape with the famed, cultural futurism merely hinted at through the metallic twigs. It achieves this with effortlessly graceful subtlety. Please note that because this fabric is handmade, there may be slight variations in width, repeat and appearance.